PSD to Bootstrap conversion has been rising to popularity due to the plethora of benefits that it is loaded with. Having said this, coding in Bootstrap is considered to be a child's play, as it can be understood effortlessly. In spite of its simplicity, there arises a situation where the developer commits mistakes, making way for an inaccurate web solution. 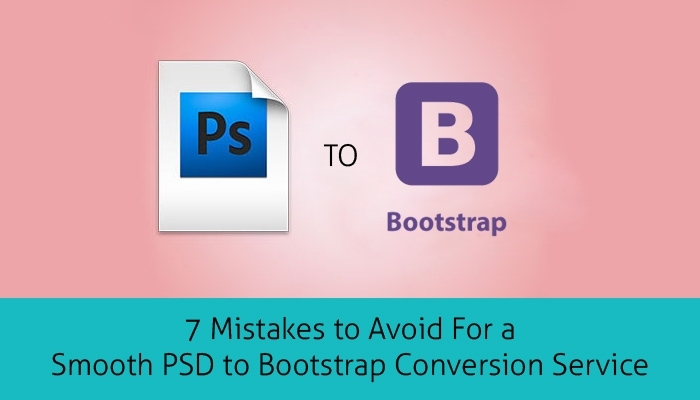 Let me walk you through a few mistakes that you need to avoid before you start using the Bootstrap so as to initiate a smooth conversion process. Read on to find out. Before you begin making use of Bootstrap it becomes extremely necessary to have innate knowledge on this free and open source front-end library. Not having a thorough knowledge, in itself will make it vulnerable to a lot many mistakes that will be encountered during the PSD to Bootstrap Service. The best part of Bootstrap is that it is loaded with a plethora of features, a lot of UI components and variety of plugins. The diversity in the Bootstrap does not imply that each and every feature has to be utilized during the conversion process. If you tend to use every feature, then you might end up with a complicated web solution. Make use of only those features that are fundamental to the success of the conversion process. 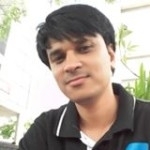 One of the biggest and the best advantages of Bootstrap is it modal prompt. The modal prompt exhibits an extreme level of ease and flexibility when it comes to using smart defaults. Despite the well defined modal prompt, if it is not used effectively then there are chances of encountering error in the conversion process. Bootstrap is specifically designed to work on all the modern browsers. Working on older browsers will significantly increase your inconveniences. If you are still using desktops that work on the old browser version, then it's time to switch to the latest version. This will not only ease your process, but will also produce web solutions with great performance. Another grave mistake that developers usually commit is overloading the web solution with Java codes. Naive or amateur coders might end up over stuffing Java codes to make way for an acceptable web solution. The plethora of Bootstrap plugin can be easily used through the API markup, irrespective of the need to write down Java codes. This will immensely help you to avoid the under use or overuse of Java codes. Above-mentioned are some of the common yet prominent mistakes that should be avoided while making use of Bootstrap. When you are familiar with all the concepts, tools and functioning of this free and open source front-end library, you make way for a smooth PSD to Bootstrap service. Also, make sure that you keep on practicing as this will immensely help you in avoiding petty or rather critical mistakes.